Honor once again announced a couple of strong smartphones at their London event yesterday: the Honor View 10 — their latest flagship smartphone costing £449.99/€499.99 and the pre-announced 7X at £269/€299. Honor’s flagships usually have a standout spec sheet and the Honor View 10 stays true to that. Performance: 6GB RAM and 128GB storage. Fast charging: The massive 3750 mAh battery supports fast charging with 50% in just 30 minutes, so topping up your battery life throughout the day will be easy. High-spec cameras: The Honor View 10 packs a 20MP monochrome and 16MP RGB camera with a F/1.8 aperture at the back. 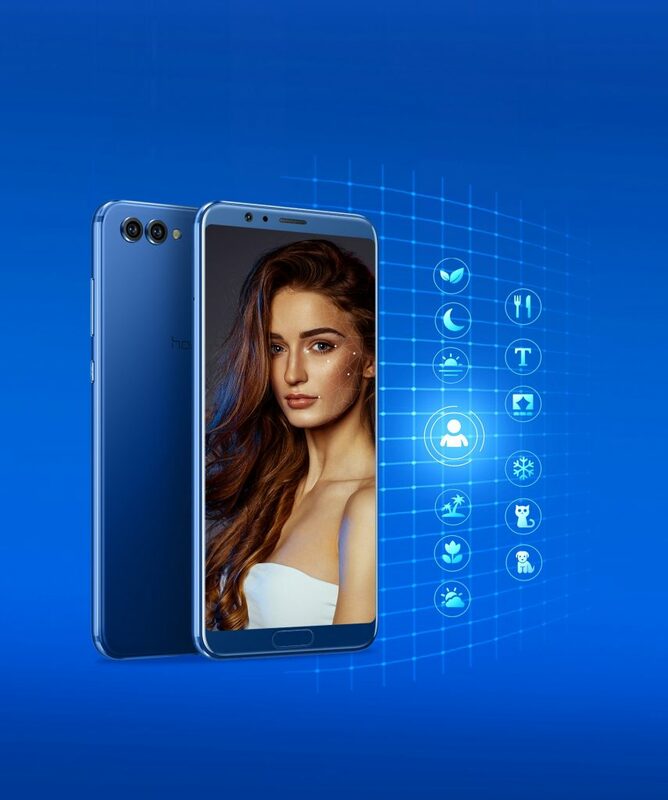 The cameras use new AI Processor for smarter motion detection during shots, and “with intelligent photography algorithms, the Honor View 10 identifies 13 different types of scenes and objects”. You also get a 13MP front shooter with portrait mode selfies. FullView Display: Honor’s 5.99-inch display has an 18:9 ratio that goes edge-to-edge — well, sort of because you still have top/bottom bezels. Full resolution is 2160x1080p. Metal build: The metallic blue build looks great, although Honor has moved the fingerprint sensor to the front. 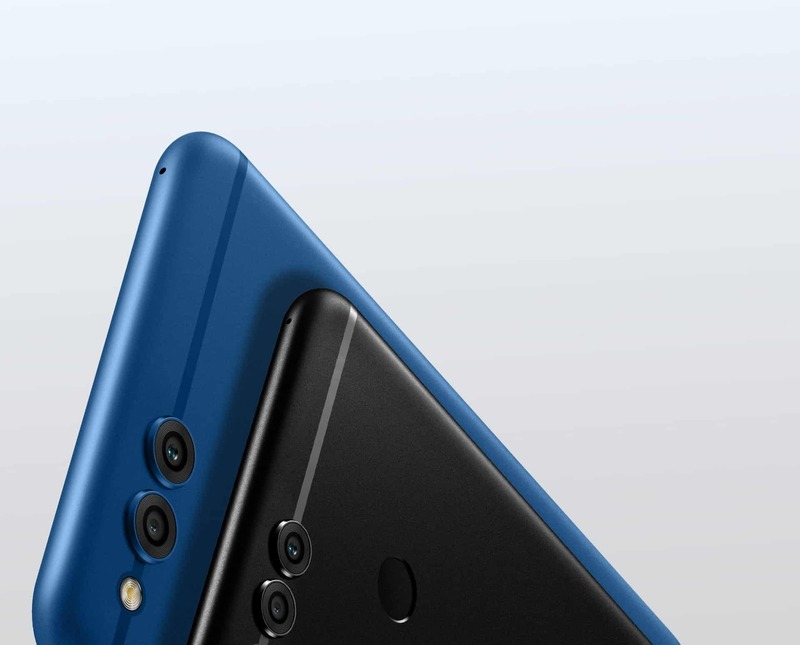 (It’s on the rear on the Honor 8 Pro). Honor View 10 will be available from January 8th, 2018, in Western Europe (United Kingdom, France, Germany, Italy, and Spain), India, Malaysia and the United States. Unlike a few years ago, £200-300 can get you a lot of value nowadays and Honor has been prominent when it comes to affordable smartphones. The Honor 7X has an impressive spec sheet and comes wrapped at a very reasonable price. FullView Display: Like the Honor View 10, the Honor 7X comes with a 2160x1080p resolution but in a 5.93-inch display instead. It spans edge-to-edge in terms of width, but you do get small bezels on top and bottom. Even so, the device does look really nice and to add: the 18:9 aspect ratio gives you some extra screen real estate. Familiar Metallic Build: Honor’s 7X has a familiar aluminium chassis (like the Honor 8 Pro) for a premium look and feel. It will ship in both Blue and Black, and both look great. Photography: The Honor 7X comes with a dual lens setup including 16MP + 2MP (F/0.95 – F/16) rear cameras, and an 8MP front shooter with the same Portrait Mode as the Honor View 10 for better selfies. Plenty Of Power: For under £300 you’re getting 4GB of RAM, 2.36 GHz Octa-core Kirin 659 chip, 64GB of storage and a 3340 mAh battery (although no sign of fast charging here). In typical Honor fashion, you get a lot of bang for your buck with both these phones and that’s what the brand is good at. However, is there enough to excite you about either of them?